You have a perfect right, of course, as every parent does, and I’m a parent, to decide what your child is exposed to. You do not have the right to decide what everyone else’s children are exposed to. So that’s how I feel about it. Dare to think for yourself. This entry was posted in Censorship, Quotations and tagged banned books, censorship, freedom of speech, postaday2011, quotation. This book is a collection of short stories by authors whose work was either challenged or banned. After each story the author provides their censorship beliefs and personal experiences. The stories are diverse from losing virginity, being mugged, education struggles, family responsibilities, and more. Each character finds himself or herself in a place they weren’t meant to be. The book provides resources to contact if a book becomes threatened and censored. Also, there is a note from the director of the National Coalition Against Censorship (NCAC). The book’s sales benefit the NCAC. I think this is a great book for a sneak about censorship at a personal level from authors themselves. This entry was posted in Book Review, Censorship, Young Adult and tagged banned books, Book Review, censorship, National Coalition Against Censorship, Places I Never Meant to Be: Original Stories by Censored Writers, postaday2011, short stories, Young Adult. I found The Sledding Hill after searching for books that discuss censorship. 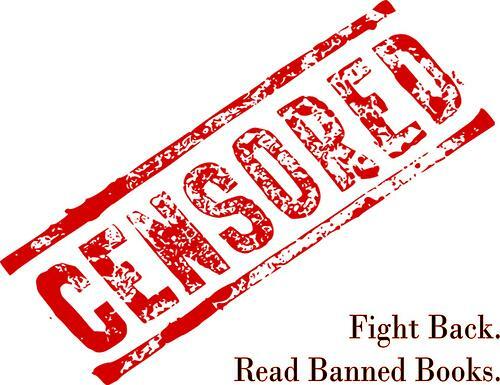 I’m interested both in challenged or banned books as well as those that mention censorship. The book is about Eddie Proffit who lost his dad and best friend, Billy Bartholomew, within months. However, most of the story is told through the eyes of Billy who watches his friend during his difficult times. It reminded me a little of Lovely Bones. Eddie is so shaken up by these deaths that he becomes mute and talks to no one. An English teacher introduces the book Warren Peece (fake book) and there is controversy about the issues in the book. Some controversy topics in Warren Peece are a gay character, swearing, an abortion, and blasphemy. There are no actual quotes from Warren Peece. I think it would be interesting if the author created a book within a book. However, there’s a very interesting twist that happens with the author that I don’t want to spoil. Eddie and other students struggle to get their book back against the school board, church, and a youth religious group. I think this is a wonderful book for many teen issues and a great stepping stone to discuss censorship. The Sledding Hill itself may be considered threatening, which makes it a great reason to read it. “Folks, I’ve seen this before. They’ll tell you it’s about family values and Christian values and morality and our need to get control over our educational system. But it’s you. That’s it. Just you. If you’re going to stop this, you’re going to have to stop it yourselves. Decide whether you think your mind is strong enough to hear tough stories, told in their native tongue – and let the censors know. “No group should have veto power over what books we can read,” Barney volunteered. This entry was posted in Book Review, Censorship, Young Adult and tagged banned books, Book Review, censorship, Chris Crutcher, postaday2011, The Day They Came to Arrest the Book, The Sledding Hill, Young Adult. Yesterday’s post had a scary book banned within an Arthur book. Today, I’m highlighting an actual scary book that was banned. This is a collection of very short stories. I thought it was scary and fun, because the stories tell you how you should read them such as jump, scream, or talk quietly. These stories are a collection of folklore and scary tales told from around the world. There’s also More Scary Stories to Tell in the Dark and Scary Stories 3. “What do you come for?” she asked in a small voice that shivered and shook. A boy was digging at the edge of the garden when he saw a big toe. He tried to pick it up, but it was stuck to something. So he gave it a good hard jerk, and it came off his hand. Then he heard something groan and scamper away. The American Library Association listed Scary Stories to Tell in the Dark as the number one challenged book during the 1990s. Most of the reasons were that children would experience a lack of appetite, nightmares, sickness, and unhealthy questions about death. Another challenge stated that the book encouraged violence and cruelty. Many individuals concluded that children could separate reality from folklore and these books are mild compared to television. This entry was posted in Ages 10+, Ages 8-10, Book Review, Censorship, Chapter Book, Children's Book and tagged Alvin Schwartz, banned books, Book Review, censorship, chapter book, children's book, postaday2011, Scary Stories to tell in the Dark. I looked for books about challenged or banned books and found this book for younger ages. The Arthur series is popular, so the book will interest young readers. Arthur and his friends love the book series Scare-Your-Pants-Off Club (not a real series) and are disappointed when they discover their favorite books have been banned from the library. The PAWS (Parents Against Weird Stories) believe the books are too scary for children and cause nightmares. They don’t understand how anyone would ban their favorite books and take action to get the books back in the library. 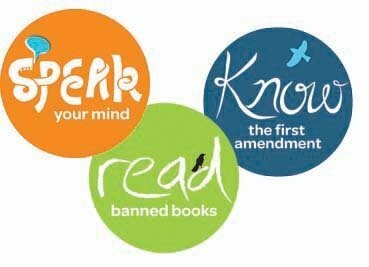 I liked the book, because it was simple and fun that introduced the idea of banned books and importance to allow people to read what they enjoy. This entry was posted in Ages 5-7, Book Review, Censorship, Chapter Book, Children's Book and tagged Arthur and the Scare Your Pants Off Club, banned books, Book Review, censorship, chapter book, children's book, Marc Brown, postaday2011. I thought Fahrenheit 451 was a good book to start Banned Books Week. The story describes a future society where books are forbidden and firefighters are required to burn all books they encounter. The title refers to the temperature that paper burns. People don’t have their own ideas and don’t discuss what they feel, instead their life revolves around picture walls (television screens) that become their family. One firefighter, Guy Montag, begins to question what are inside the books and why others want them burned. He meets a girl who tells him in the past books weren’t burned and people weren’t afraid. He also meets a professor who tells him about a time when people think. Montag’s fire captain states that without books there are no conflicting thoughts, so it keeps people happy. 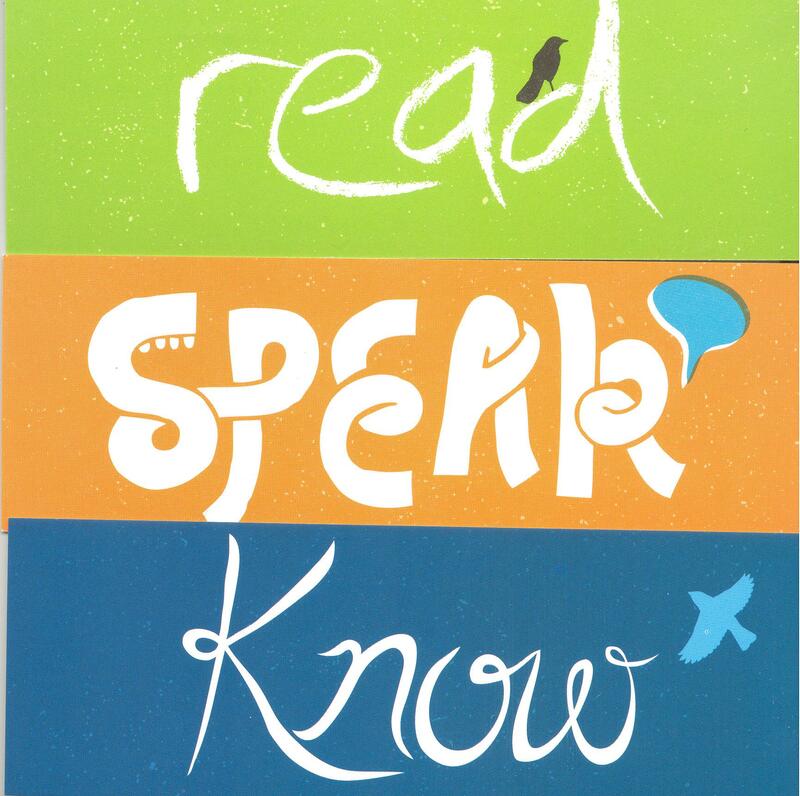 Montag joins others in the hopes to preserve knowledge and ideas in books. A futuristic society where books are forbidden is scary and unfortunately it occurs. Perhaps not as bold as burning a house that holds books and written material, but just the act of challenging or banning a book creates a threat that individuals cannot think freely. It’s not possible to make everyone happy, since we all have different ideas. When you shut books you are then shutting minds that creates ignorant people in a society where they can’t think fully for themselves. It was a pleasure to burn. It was a special pleasure to see things eaten, to see things blackened and changed. …He wanted above all, like the old joke, to shove a marshmallow on a stick in the furnace, while the flapping pigeon-winged books died on the porch and lawn of the house. While the books went up in sparking whirls and blew away on a wind turned dark with burning. Montag’s viewpoint gradually changes after meeting the girl and witnessing a woman stay in a burning house with her books. There must be something in books, things we can’t imagine, to make a woman stay in a burning house; there must be something there. You don’t stay for nothing. Professor discusses the power of books with Montag. There is nothing magical in them at all. The magic is only in what books say, how they stitched the patches of the universe together into one garment for us. Fahrenheit 451 was never exactly banned, but the book itself was censored into different editions to please others. Words, such as hell and damn were eliminated. Another incident changed a drunk man into a sick man. An interesting twist occurred in 1992, students at a school in Irvine, California, recieved Fahrenheit 451 with blacked out words that others thought were inappropriate. Parents complained and the censored copies were no longer used in the classroom. This entry was posted in Book Review, Censorship, Science Fiction and tagged banned books, banned books week, Book Review, censorship, Fahrenheit 451, postaday2011, Ray Bradbury, science fiction. Walk into a buffet restaurant and you’ll find many choices. Grab a plate and pile on your favorite dishes. We’ll pretend that calories don’t count and you have a bottomless stomach for this meal. Select your meats whether it’s roast beef, spicy sausage, meatballs, or barbeque chicken. Perhaps you’re a vegetarian who doesn’t select a meat choice. Continue through the buffet to find pizza, french fries, fruits, vegetables, and even jello. Of course we need room for delicious desserts, such as cookies, berry cobbler, and ice cream. Finish your selections and head to your table to compare your choices with friends. You may see food on a friend’s plate that you didn’t notice at the buffet. Maybe you make a sour face to a food you dislike on someone’s plate. Perhaps you snitch food from others. Buffets often change weekly, so each visit is new. Instead of a restaurant, you’re now walking into any library, bookstore, school, or garage sale with discount paperbacks. Maybe you decide to ‘walk’ into your Amazon account from the comfort of your home. Depending on the location, your ‘plate’ today is a library card, wallet, school pass, loose change, and most important an open mind. Everyone has different ‘tastes’ when we select books to read. There are endless ‘dishes’ from mystery, romance, science fiction, biography, contemporary fiction, non-fiction, graphic novels, picture books, reference books, magazines, journals, newspapers, history, foreign language, poetry, best sellers, photography, travel, geography, audio books, religion, how-to books, and much more. There’s even subcategories for each book ‘dish’. You can ‘travel’ to different countries with books about its food, landmarks, transportation, geography, historical aspects, and more to fully ‘explore’ the location. 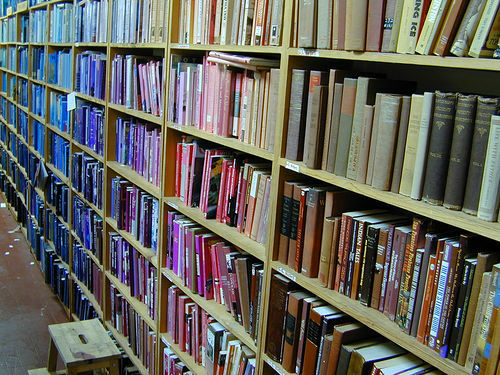 Similar to a buffet, you don’t need to select every book. Also, you don’t need to have the same book ‘taste’ preference as your friends. However, friends can always share ‘dish’ recommendations about which books to read next time. Of course, new books are stocked so numerous trips need to be taken to satisfy your ‘hunger’ for books to read. Banned books week is next week, however we need to celebrate book diversity all year. Individuals should have the freedom to read anything they desire without criticism from others. I’m not going to forbid you from picking a book I dislike. Nobody should have the right for books to be removed from classrooms, schools, and libraries. Often individuals don’t even read the material before deciding if it should be banned. You never know, you may learn something new or gain an appreciation for different perspectives. We all have different book tastes, so allow others to enjoy their choices without judgement. Experience the diverse flavors of a book smorgasbord. This entry was posted in Censorship, Reading Thoughts, Writing and tagged ALA, American Library Association, banned books, banned books week, censorship, postaday2011, postaweek2011, writing.